These are just some of the feelings expressed on the first day of our planning workshops in Amman, Jordan which brought together team members from Sesame Workshop, the International Rescue Committee (IRC), and local advisors to move our refugee program into the execution phase. Over the course of the week, we discussed content creation, a language plan for the project, and an approach to inclusion with advisors from Syria, Iraq, Lebanon, and Jordan — specialists in language, gender, people with disabilities, and minority groups. The decisions made in these workshops will inform the educational content for our new children’s television series and the resources used in direct services like home visitations. 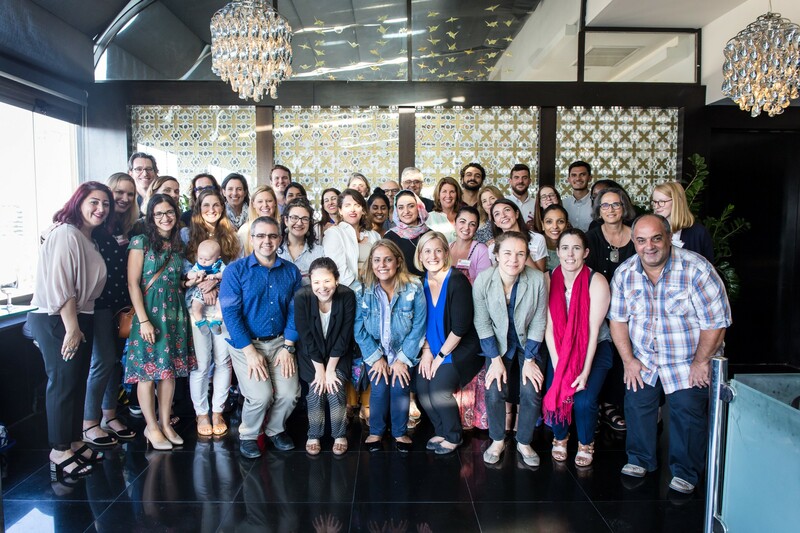 The workshops were an incredible opportunity to come together and start the collaborative process that will be vital to our success in building the largest early childhood intervention in the history of humanitarian response. Here are five key takeaways from the five days of workshops. 1) We can leverage the richness and complexity of Arabic language in our content. 2) One of the reasons language is so important is that it gives children the ability to imagine. “If a bottle can only be a bottle, how can a problem be anything but a problem?” asked advisor and speech pathologist Noor Al Radi during the workshops. This statement was one of the many powerful moments of the five days. Al Radi expressed that for many refugee children, language is all about the here and now, because they don’t have the words to think abstractly. And if they can’t think abstractly, how can they imagine a better future? 3) When children experience trauma, language is often the first tool to break down. Imagine having a phrase at the tip of your tongue. You so badly want to express yourself, but just can’t find the right words to so. That’s exactly what happens to refugee and displaced children every day, says Al Radi. These children have undergone unimaginable trauma, and almost daily have experiences that even adults might struggle to process. This constant stress can halt their language development — something we must consider when developing our program. 4) Where there’s crisis, there’s also great opportunity. 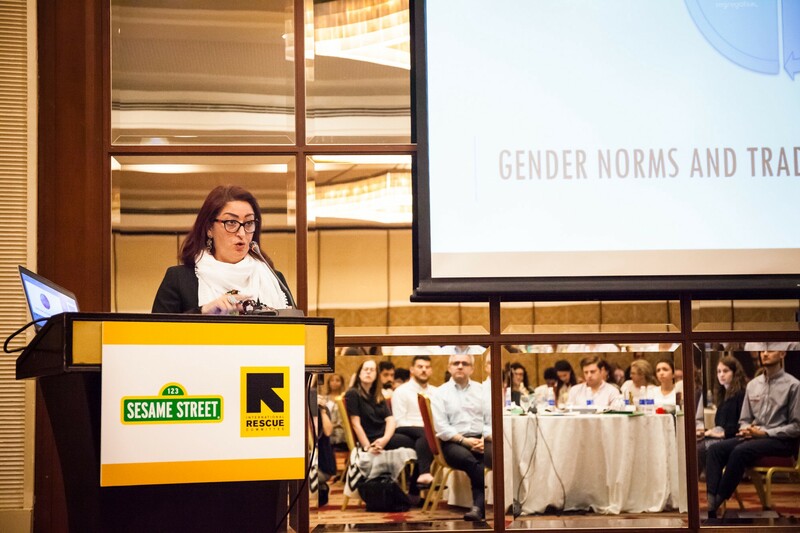 We often think of crisis or displacement as a disaster, but it’s also an opportunity to break down barriers and move the needle on gender and inclusion issues, said advisor Nahla Hassan, gender specialist for the IRC. As rebuilding happens, we can begin to dissipate gender stereotypes and accepted understandings of what girls and boys can do — ultimately allowing more girls to go to school and pursue their dreams. 5) The prevalence of disabilities in the region is drastically under-reported. 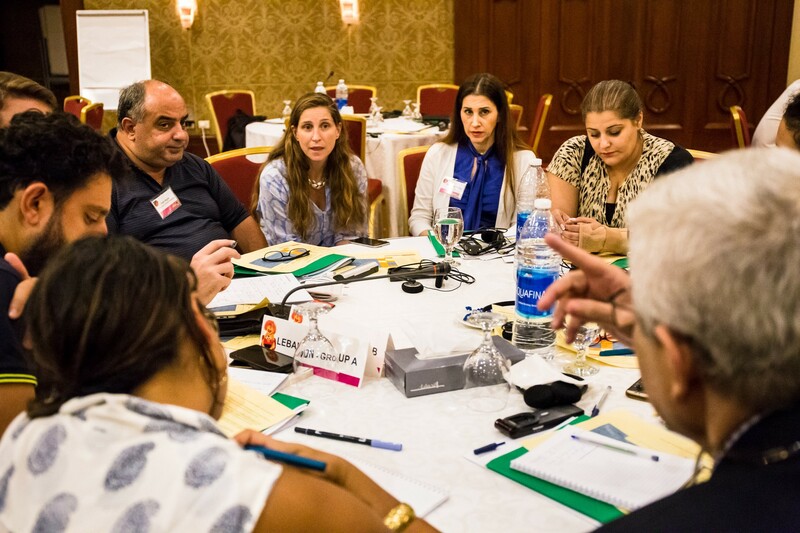 According to the rights-based approach to disability, 22.9% of the population in Jordan, 22.6% in Lebanon and 16.8% in Iraq has a disability, which is much higher than the 2–3% prevalence from existing surveys using the medical approach to disability. And 61.4% of households in Jordan and Lebanon have at least one member with a disability. Support in the region is heavily focused on physical disabilities, with little attention paid to psychosocial disabilities like anxiety and depression — conditions affecting many children who’ve been forced to flee their homes. The workshops ended with each participant sharing a thought for the future — words embodying excitement, humility, and determination. We know tremendous obstacles lie ahead, and we know the situation for displaced children is daunting. But we believe the Sesame Workshop and IRC team can take on the challenge. In Arabic, the expression “yalla” means “let’s get going.” And that’s exactly what we’re about to do. This article was originally published on Medium on August 9, 2018.